Annapolis, Maryland - The Society of Naval Architects and Marine Engineers (SNAME) has opened online registration for the 23rd edition of the Chesapeake Sailing Yacht Symposium (CSYS), held again this year at the US Naval Academy (USNA) over March 15-16, 2019. This triennial event features research papers presented by academics and practitioners from around the world in a variety of fields related to the design, engineering, performance and fabrication of sailing craft. "This is one of three major conferences on the technology of sailing yachts held around the world," said CSYS Chair Dr. Jaye Falls of the USNA. "We urge everyone who has an interest in this fascinating and fast-developing field to attend to learn, share ideas, meet colleagues and make friends with those who all share the same passion for sailing. "The research papers presented at this year's symposium are from researchers based all over the world: France, Great Britain, Japan, New Zealand, Thailand and the USA. The topics presented are also extremely varied, ranging from hydrodynamics of slender Polynesian canoe hulls, to foiling behaviors in dinghys and Open 60's, to the science of Olympic 470 sailing performance. A complete list of papers, authors and abstracts can be found on the CSYS website. This year's Keynote Speaker will be a frequent contributor to CSYS, Andy Claughton. He is one of the most experienced Americas Cup designers, having been involved with the competition since 1983. Andy started dinghy sailing as a teenager, and graduated in Ship Science from the University of Southampton 1975. In 1977 he joined the nascent Wolfson Unit for Marine Technology and Industrial Aerodynamics, and it was there he made many of his early contributions to Americas Cup teams. Andy worked on towing tank and wind tunnel tests, and developed speed prediction programmes for teams that included Team New Zealand, the AC winners in 1995 and 2000 - he was their Design Coordinator for the 2007 Americas Cup as well. 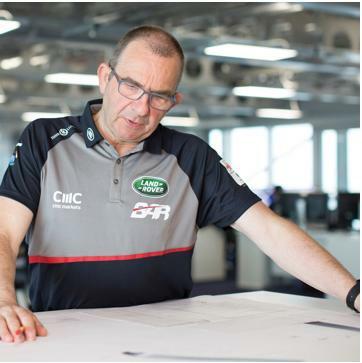 Andy left his role as Director of Enterprise at the University to be Chief Technology Officer at Land Rover BAR, for Ben Ainslie's Challenge for the 35th America's Cup. He is now an independent Naval Architect and remains a long time member of the International Technical Committee working on the ORC rules for racing yachts, superyachts and now multihulls. He has published numerous papers, and won awards that include the Royal Institute of Naval Architects Small Craft Group Medal. The schedule for the 23rd CSYS includes two days of talks and presentations held in Chauvenet Hall Room 100, a tour of the USNA Hydro Lab on Friday and a Cocktail Reception at Severn Sailing Association on Saturday evening. For a complete list f paper titles, abstracts and to Register for the 23rd Chesapeake Sailing Yacht Symposium, visit the event website at www.csysonline.com.